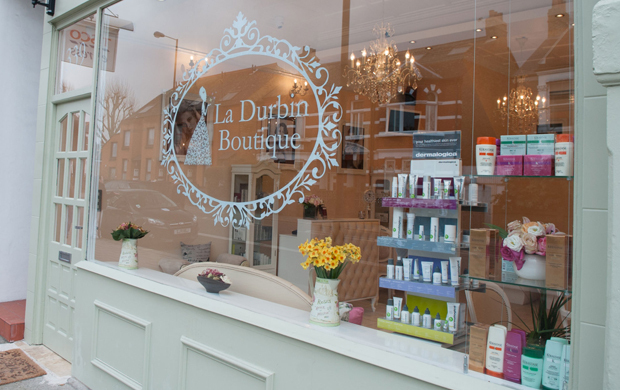 Launched in March, La Durbin is becoming a local hub offering the latest high-quality hair and beauty treatments and a warm yet relaxed atmosphere with a personalised service. Furnished with a vintage French feel, La Durbin offers a sanctuary in which to unwind in the stylish surroundings. The salon is extremely comfortable with plenty of natural light. Elegant attention to detail flows through the salon – scented candles, beautiful branded cups and saucers and monochrome pictures of Hollywood icons. Ignoring the current icy climate, I opted for a spring orange shade for my shellac manicure. Lena (the superb therapist) delivered a perfect classic manicure, the only difference being placing my nails under a UV lamp in between coats. I felt like I was having an afternoon catch-up with an old friend while enjoying a supply of chocolate nibbles and herbal tea. Chardnay washed my hair and gave a wonderfully relaxing scalp massage. I requested that my blow-dry be smooth but with volume for the evening of city drinks that was to follow. Chardnay used a number of medium-sized volume hair brushes as temporary rollers in my hair for a few minutes at a time to create the look. She worked quickly and with an infectious smile on her face the whole time. 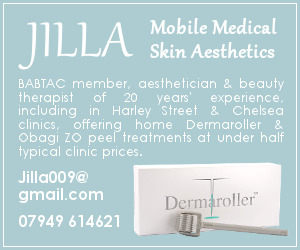 As a previous nail neglecter, I am now converted to the shellac. The result remains flawless and shiny after a variety of household tasks. My hair remained smooth and full of body throughout the evening and had only dropped a little by morning.